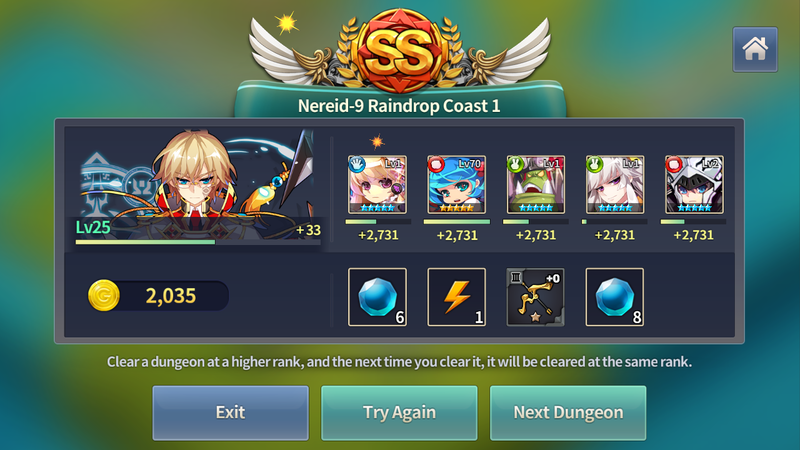 The most basic way to get equipment is to find it in dungeons. Most dungeons offer weapons and armor, but they are generally of poor quality. Accessories can be found in the Pit of Nephthys. 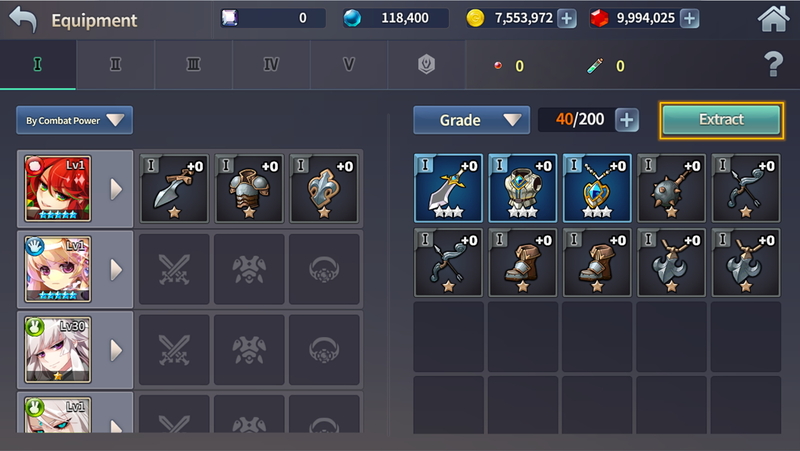 With Equipment Draw, you can obtain many pieces of equipment quickly and easily. Plus, Rainbow Coocoo offers a free chance to draw once a day! 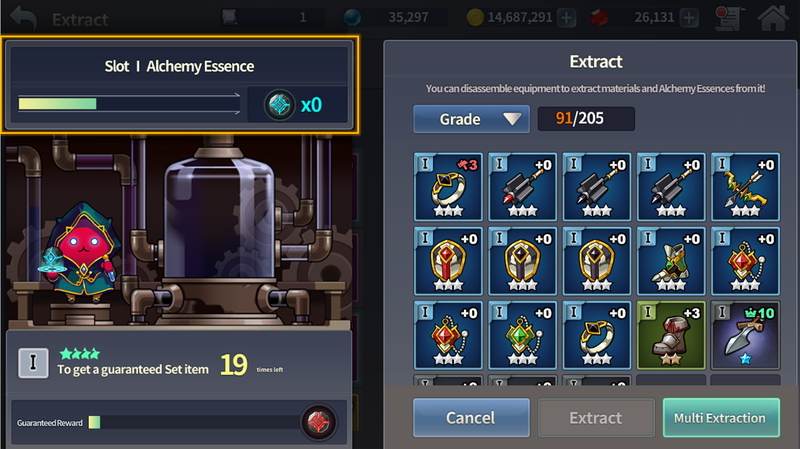 Use unwanted equipment for Equipment Extraction, and you can accumulate Alchemy Essence. 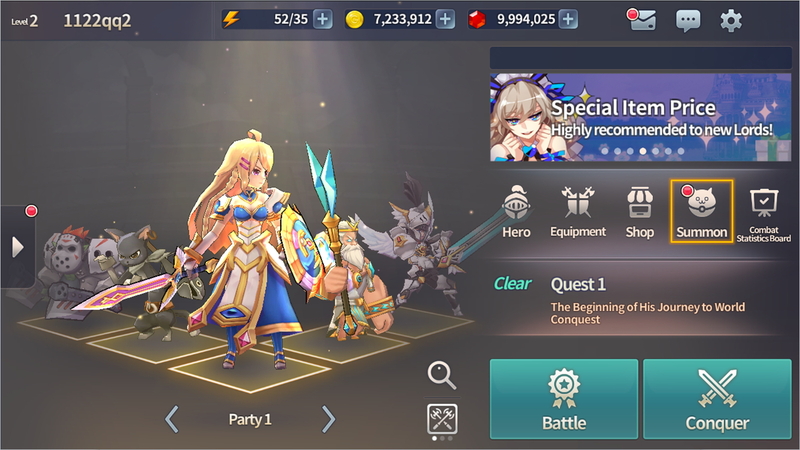 When your Alchemy Essence reaches a certain amount, you can obtain Platinum equipment. 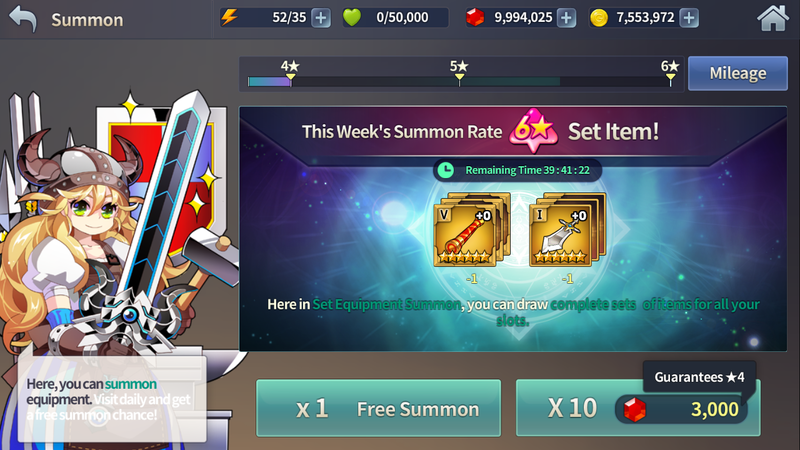 And every 10th equipment reward from Alchemy Essence is guaranteed Set. All times are GMT0. This page was generated at 12:09 PM.